We developed Hybrid OpenCL, which enables the connection between different OpenCL implementations over the network. 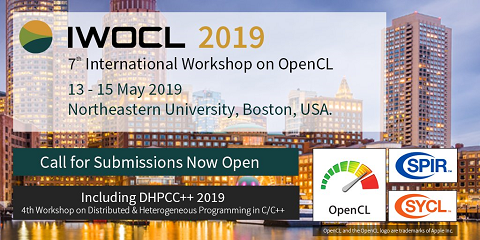 Hybrid OpenCL consists of two elements, a runtime system that provides the abstraction of different OpenCL implementations and a bridge program that connects multiple OpenCL runtime systems over the network. Problems in OpenCL are not being able to use different OpenCL devices from a single OpenCL runtime and being limited the number of OpenCL devices that we can use to the number of internal bus slots. Hybrid OpenCL enables the construction of the scalable OpenCL environments. It enables applications written in OpenCL to be easily ported to high performance cluster computers, thus, Hybrid OpenCL can provide more various parallel computing platforms and the progress of utility value of OpenCL applications. This paper describes the improvement of Hybrid OpenCL by using high speed networks and its results from experimentation. The experimental results show that high speed networks reduce the overhead introduced by Hybrid OpenCL, and InfiniBand SDP shows the best performance among the results.